written on your 50-Sheet Adhesive Pad. 4.25 in. X 11.0 in. 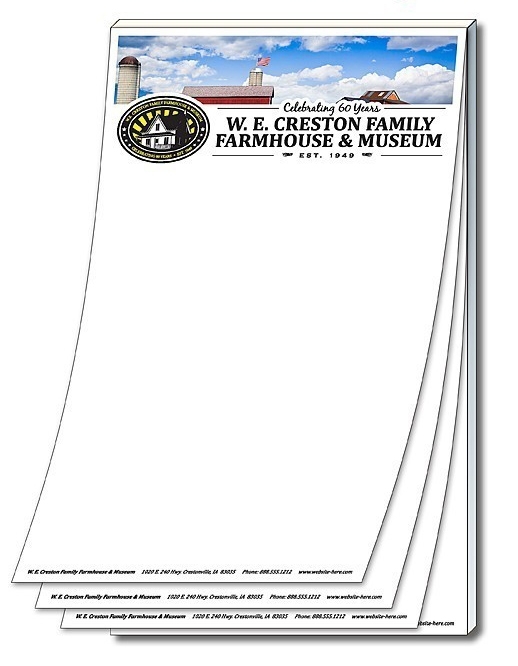 Prices include printing in full-color (four color process) on front of sheets. Material of note pad is 50 lb. offset. Padded on the 4.25 inch side only.